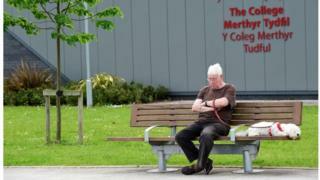 The independents have won control of Merthyr Tydfil council. An election for three seats in the Cyfarthfa ward was held on Thursday, after the original poll in May was postponed because of the death of a candidate. The group had already been ahead by 16 seats to Labour's 14 seats after the local elections last month. A meeting is scheduled to take place on Monday ahead of the council AGM next Wednesday. Independents Geraint Thomas and Paul Brown topped the ward poll, with Labour's David Chaplin winning the third seat, taking the final make-up of the council to 18 seats to 15. Labour lost control on 5 May, including council leader Brendan Toomey, who was defeated by Independent Patricia Skinner.